The stereotypical view of minimalist homes is they are without personality; with their white interiors and sparse decoration they run the risk of feeling cold and sterile particularly if you’ve been overly keen on reducing the clutter. If designed well a minimalist home can be as warm and inviting as any other and very few feelings beat returning to a well loved inviting home. You don’t need to invest a lot of money into your home only a fair amount of attention to detail. With a few simple changes a minimalist home can become a calming respite from the world outside. The simplest way of creating a cosy environment requires no money just a little time invested into switching up your home. It might be as simple as moving the furniture around, changing your gallery wall, and adding soft layers (more cushions, more throws, more comfort) and homey touches; you’ll find the environment is instantly cosier. Play around with the layout, bring things closer together, add personal touches. A heaped pile of blankets and throws on your bed or on the sofa creates a little nest to burrow into especially in the evenings. Pull any spare blankets from storage and use them in your decor. Mix up the fabrics and colours; we opted for neutrals (winter white and light gray) but try throwing a pattern into the mix. Textures add visual interest especially when used with minimalist decor. It’s simple and effective. The way you use light can dramatically change the feel of a room. If you have spare lights in storage (old fairy lights for the Christmas tree, perhaps?) you could string them above the bed or over the fireplace, or move the position of floor lamps to throw out softer lighting. Hurricane lamps lit in the evenings are an impressive and effective way to add warmth to a room, and they look beautiful as decoration during the day. Lighting a candle with a fresh clean scent or perhaps a richer fragrance creates a welcoming space; warm, friendly, and relaxing. If you’re not keen on candles or diffusers, baking bread or leaving a pot of soup to reduce on the hob has the same effect. It’s homey and inviting especially for guests. 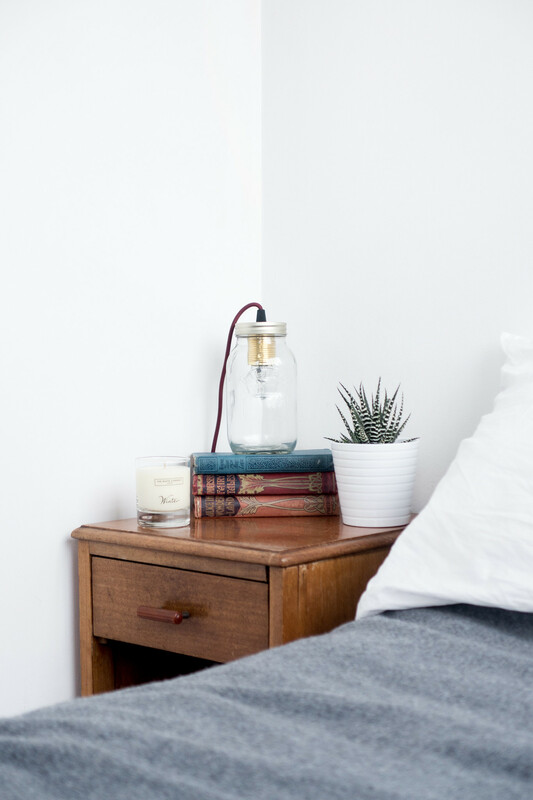 Whether it’s on the sofa with a heap of blankets, in the bed with extra throws, or a little spot in a nook somewhere; create a place that encourages you to linger in it. One special spot where you can relax in comfort. Create this space with intention. It might require some or all of the tips shared above to create it. The purpose is to have a place for you to sit or lounge and relax in for a few minutes or a few hours, perhaps with a book or some music to listen to. It should be the one spot in your home nobody wants to leave.